Elsa H. Jones, Administrative Law Judge, Office of Administrative Hearings, Special Education Division, heard this matter on May 7, 2007, in Los Angeles, California. Petitioner-Student (Student) was represented by his mother (Mother). Mother’s primary language is Spanish. Claudia Calle, a Spanish interpreter, was present and translated the proceedings from Spanish to English and from English to Spanish. 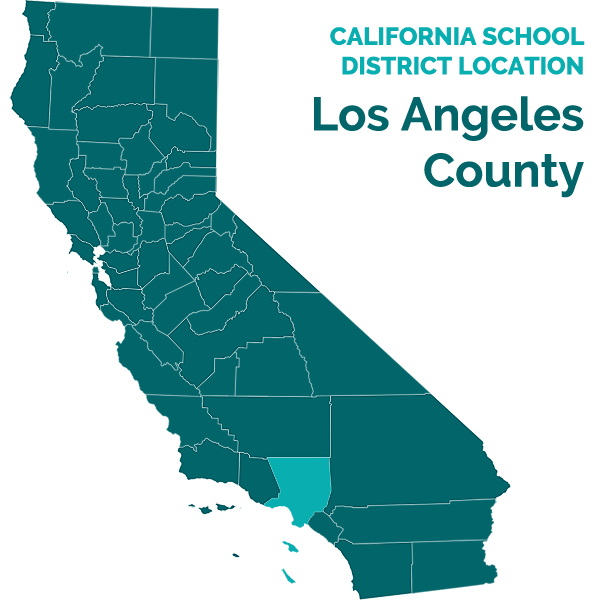 Respondent Los Angeles Unified School District (District) was represented by My T. Huynh, Assistant General Counsel for District. Cynthia Y. Shimizu, Due Process Specialist for District, was also present on District’s behalf. Mother filed the request for a due process hearing on March 2, 2007. Sworn testimony and documentary evidence were received at hearing on May 7, 2007. At the conclusion of the hearing, the parties waived the filing of closing briefs. The matter was submitted for decision on May 7, 2007. The parties stipulated on the record to waive the 45-day period for decision provided in Education Code section 56505, subsection (f)(3), and further stipulated that the decision would be issued on June 8, 2007. Did District deny Student a free appropriate public education (FAPE) during the school year 2006-2007 by failing to provide school transportation that meets his and his family’s needs? Student contends that it is unsafe for the District’s school bus to pick him up and drop him off at the corner of the street on which he resides. Student contends that it is dangerous for him and his family members to push him in his manual wheelchair, with his backpack and medical equipment, to and from the bus stop. Student contends that the situation is exacerbated by the sloping nature of his street, such that the person who is pushing his wheelchair must be able to control the wheelchair on the downhill slope while pushing him to the bus stop, and must then push the wheelchair uphill to his home after the bus transports him to the bus stop after school. This situation becomes more hazardous during inclement weather. Student argues that District should provide transportation to pick him up and drop him off at his home, or provide an aide who is physically capable of pushing him in his wheelchair to and from the bus stop. District does not dispute that Student requires transportation to and from school, at District expense, so as to benefit from his education. District contends that its wheelchair- accessible school buses cannot safely travel and turn around on the narrow, sloping street on which Student resides, and that Student lives close by the corner where the bus picks him up and drops him off. Therefore, District contends that it is reasonable for the bus to pick up and drop off Student at the corner. 1. Student is a 16-year-old boy, who was born on November 25, 1990. He has cerebral palsy with global developmental delays and seizures, and is wheelchair-bound. Student uses a manual wheelchair. Student is eligible for special education services as a child with severe orthopedic impairment and multiple disabilities. He resides in the District. At all relevant times, he has attended a special day class (SDC) at Perez Special Education Center (Perez), located in the District, pursuant to his Individualized Education Program (IEP). He is currently in the 11th grade. 2. Student is transported to and from school daily by a District school bus. Student resides on Rolle Street, in Los Angeles. Rolle Street is a narrow street with a significant slope upward from Sierra Street. The District’s school bus stops on the corner of Rolle Street and Sierra Street, and Student is picked up and dropped off there for school. Student resides in the sixth house from this corner. A portion of the sidewalk on Rolle Street between Student’s house and the corner of Sierra Street is uneven, due to tree roots. As Rolle Street slopes upward and past Student’s house, it becomes narrower and dead ends into an unimproved area. Vehicles park on both sides of the street, and there are large trash receptacles alongside the curb on trash pick-up days. 3. Student is currently 5 feet 3 inches tall and weighs approximately 100 pounds. He is still growing. His wheelchair weighs approximately 100 pounds. Student’s backpack, a suction machine, and equipment for albuterol treatments accompany Student to school. Mother, who is also 5 feet 3 inches tall, is the person who usually pushes Student’s wheelchair to and from the bus stop. 4. The smallest available wheelchair-accessible District school bus cannot safely pick Student up and drop him off in front of his home, because Student’s street is too narrow for the bus to turn around safely. District cannot use the unimproved area to turn around because it is also too narrow, of questionable condition, and because its ownership is unknown. The school bus cannot safely turn around in the driveway at Student’s residence because the street is too narrow, especially when parked cars are nearby, and the driveway is so engineered that the bottom of the bus scrapes the pavement. 5. Other types of vehicles, other than private passenger cars, are able to negotiate Student’s street. For example, another public entity provides Student noneducational-related transportation services, such that Student is picked up from his house in a minivan and taken to medical appointments. 6. The District convened an IEP meeting on December 6, 2006. Mother, a District representative, a special education teacher, and an interpreter attended the meeting, which was an annual review of Student’s program. The team described Student’s present levels of performance with respect to mobility skills, self-help/vocational skills, reading, math, and communication. The team set goals in each of these areas. The team determined that assemblies, community outings, and use of the library would constitute support for participation in general education activities, and that all academic instruction would be provided by special education teachers. The team determined that the least restrictive environment (LRE) for Student is the SDC at Perez, in a secondary, self-contained classroom for students with multiple disabilities, because Student requires assistance for all needs and a full-time nurse is available at Perez. The team agreed that Student was eligible for an extended school year (ESY) program, and agreed that Student would be provided with assistive technology, including a voice-output communication device, a gait trainer, and a hydraulic lift. The team agreed that Student would participate in specially designed physical education. The IEP contained a master plan for English Language Learners and a transition plan. The team noted that Student’s severe disability prevented him from meeting District and state age and grade level standards. Therefore, the IEP provided that Student would be taught an alternate curriculum for students with moderate to severe disabilities, leading to a certificate of completion. He would be assessed using observations, IEP goals, and alternative assessments. 7. The team agreed that transportation would be provided because the IEP could not be implemented at Student’s home school. The IEP stated that transportation would be provided “Home to School” and noted that Student required “close supervision for personal safety.” The team noted that Student required additional supports, including trained personnel in class and on the bus for medical procedures, a lift bus, and a health care assistant. The team specified that Student required that a health care assistant be available on the bus and in the classroom.Mother consented to the IEP. 8. Children who are eligible for special education are entitled to a FAPE that is designed to meet their unique needs. A FAPE includes transportation as a related service, if the transportation is required to enable the Student to benefit from his education. The IDEA regulations define transportation as: (i) travel to and from school and between schools; (ii) travel in and around school buildings; and (iii) specialized equipment (such as special or adapted buses, lifts, and ramps), if required to provide transportation for a child with a disability. 9. Student’s IEP team has determined that Student’s unique needs are such that he cannot benefit from his education without transportation as a related service. Under the circumstances, Student’s unique needs require transportation that picks him up at his home and drops him off at his home. Uncontradicted evidence demonstrated that it is unsafe for his mother, or for anyone, to physically push Student up and down the sloping, uneven sidewalk in his wheelchair to the bus stop on Sierra Street. Such activity could cause harm to the person who is responsible for maneuvering the heavy wheelchair, as well to Student should the wheelchair operator lose control of the wheelchair. The law does not require Student or any person assisting him to confront such dangers in order to realize the promise of special education. 1If a student receives transportation as a related service, transportation should also be provided in the LRE, unless the IEP team determines otherwise. (Analysis of Comments and Changes to 2006 IDEA Part B Regulations, 71 Fed. Reg. 46576 (August 14, 2006).) Student currently rides the bus with other students. No evidence was presented as to whether these students are special education or general education students. Therefore, no determination can be made as to whether Student is currently being provided transportation in the LRE, and, indeed, no party raised the issue of LRE. Regardless, the LRE requirement is not absolute, as the IEP team can determine that transportation need not be provided in the LRE. Therefore, if the only type of transportation capable of safely transporting Student from his home to school and back requires that Student be the only passenger, such a result is not prohibited by the LRE requirement. 5. The IEP is a written document for each child who needs special education and related services. The contents of the IEP are mandated by the IDEA, and the IEP must contain an assortment of information, including a statement of the special education and related services to be provided to the child. (20 U.S.C. § 1414(d)(1)(A); 34 C.F.R. §§ 300.346, 300.347.) An IEP is evaluated in light of information available to the IEP team at the time it was developed. It is not judged in hindsight. (Adams v. State of Oregon (9th Cir. 1999) 195 F.3d 1141, 1149.) “An IEP is a snapshot, not a retrospective.” (Id. at p. 1149, citing Fuhrmann v. East Hanover Bd. of Education (3d Cir. 1993) 993 F.2d 1031, 1041.) It must be evaluated in terms of what was objectively reasonable when the IEP was developed. Did District deny Student a FAPE during the school year 2006-2007 by failing to provide school transportation that meets his and his family’s needs? 7. Based upon Legal Conclusions 1 through 6, and Factual Findings 1 through 10, District denied Student a FAPE by failing to provide transportation to and from school that stops at Student’s residence. Student’s unique needs require that he be picked up at his home, taken to school, and dropped off at his home after school, so that he can benefit from his education. 8. The hazards presented in pushing Student in his heavy wheelchair to and from the bus stop distinguish this case from several cases decided by the California Special Education Hearing Office (SEHO), in which school districts were not ordered to provide transportation to and from the student’s residence. (See, Student v. Pajaro Valley Unified School District (2003) 104 LRP 4107 [six-year-old student with a specific learning disability and who was more distractible and impulsive than other six-year-olds was capable of safely walking with an adult from the school bus stop]; Student v. Modesto City Elementary School District (2002) 38 IDELR 88 [student with specific learning disability had the physical ability, cognitive ability, and language skills to safely and independently walk to and from the bus stop]; Student v. Pleasant Valley School District (2002) 37 IDELR 265 [eight-year-old student with short-gut syndrome and a history of seizure disorders could safely walk to the school bus stop with parental supervision].) These cases, which are not binding authority pursuant to California Code of Regulations, title 2, section 3085, did not involve the undisputed safety issues that support Student’s need to be picked up and dropped off at his residence so as to be able to benefit from his education. Student’s claim for relief is granted. District is to transport Student between his home and school during the school year and ESY by means of a vehicle that can safely turn around on Student’s street when driven with due care, such that Student can be picked up at his home and dropped off at his home. Education Code section 56507, subdivision (d), requires that this Decision indicate the extent to which each party prevailed on each issue heard and decided in this due process matter. Pursuant to this mandate, it is determined that Student prevailed on the only issue that was heard and decided.